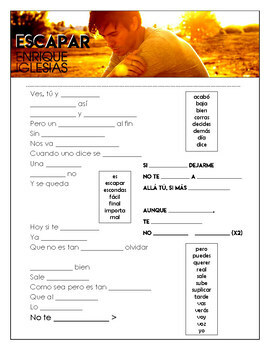 Enrique Iglesias - "Escapar / Escape" Cloze Song Sheet! Spanish! 2001 song from Enrique Iglesias called 'Escapar' in Spanish! Great for a short listening activity, warm up, or class closer!